We’ve previously posted on a new fashion statement for women, but now we’ve got something for the men too. 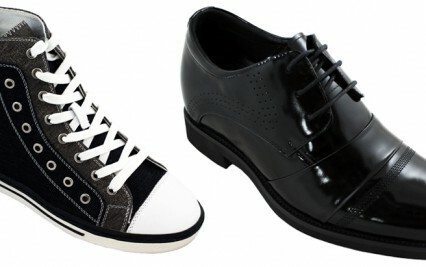 They are called elevator shoes and their sole purpose, (excuse the pun), is to give you a few extra inches in height. The inside sole is built to add 2-5 extra inches with style and comfort…. © 2019 SEES Inc. All rights reserved.